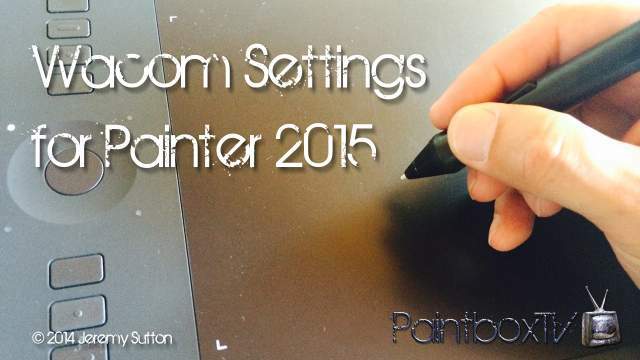 Intro to a series of videos on installing custom Wacom tablet preferences for using your pen tablet with Painter 2015. In this video I unpack the IntuosPro Medium pen tablet and show how to change the default Wacom pen nib for the Stroke nib (the one with a spring in it). Later on in this series you’ll learn how to make the most of the Wacom Desktop Center on Mac and PC for keeping your Wacom driver updated, for installing my custom Wacom preference file (via the ‘restore’ process) and how you can manually program your own custom settings. I also review in detail my custom ExpressKey, Touch Ring (Intuos models), Touch Strip (Cintiq 24HDT) and Rocker Ring (Cintiq Companion) settings specifically chosen for optimizing your experience when using your Wacom pen tablet with Corel Painter 2015.